WASHINGTON (CNS) — The president of the U.S. Catholic bishops’ conference and two committee chairmen condemned “in the strongest possible terms” the fatal shooting of two Israeli police officers July 14 in Jerusalem’s Old City near some of the world’s holiest sites. “It is a particular desecration to carry out armed attacks in and around sites holy to Muslims and Jews in a city that is sacred to Jews, Christians and Muslims,” they said in a statement. It was issued by Cardinal Daniel N. DiNardo of Galveston-Houston, president of the U.S. Conference of Catholic Bishops; Bishop Oscar Cantu of Las Cruces, New Mexico, who is chairman of the Committee on International Justice and Peace; and Bishop Mitchell T. Rozanski, of Springfield, Massachusetts, chairman of the Committee on Ecumenical and Interreligious Affairs. 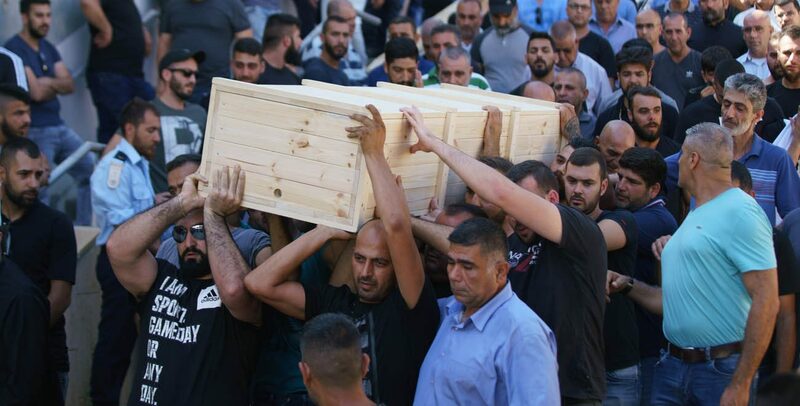 “We mourn for the lives lost and deplore the heightened tensions that such an attack can spawn,” they said, adding they were encouraged that both Palestinian President Mahmoud Abbas and Israeli Prime Minister Benjamin Netanyahu condemned the attack. “The path to peace, for which both Israelis and Palestinians yearn, cannot be paved with violence,” the U.S. bishops said. Their statement said the “deadly attack” took place by the Lions’ Gate in the Old City walls, next to what Muslims call the Noble Sanctuary and Jews call the Temple Mount. CNN reported that Netanyahu had identified the slain officers as Haiel Sitawe, 30, father to a 3-week-old son, and Kamil Shnaan, 22. Both were rushed to the hospital where they died of their wounds. He said Sitawe and Shnaan were members of Israel’s Druze community, an Arabic-speaking religious minority. An Israeli police spokesman called the three assailants terrorists and said they were targeting police units in the areas. The three were shot and killed.